Our Expedition starts in Nelson with a night together to meet for dinner and get ready at our hotel for the weeks exciting adventuring. We are quickly off then to the Abel Tasman National Park the following day which stretches from Wainui Inlet in Golden Bay (in the north), to Marahau. (In the south). We will take to the Sea Kayaks with our camping gear on this fully catered, 3 Day, one way sea kayak journey to explore the coast line and Seal inhabited islands from Marahau to Separation Point. 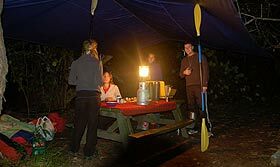 We have plenty of overnight options along the route to match the weather and sea conditions and we will plan to adventure on part of the Abel Tasman Coast Track also by foot so bring your hikers as well as your paddling shoes!! 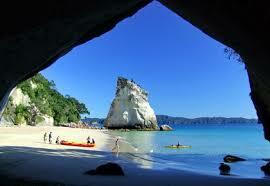 Our Trip then transfers to the stunning Marlborough Sounds region. An area known for its amazing produce and Wine as much as its gorgeous raw scenery. We will spend a day travelling from Nelson to Picton whilst on our own Private Winery Tour. We will enjoy a vineyard lunch and samplings including the world famous Marlborough Sauvignon Blanc. 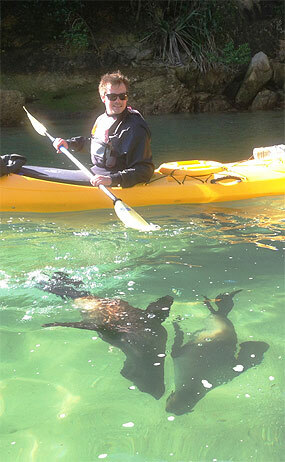 This relaxing day taking in the sights will set us up nicely for our next section of kayaking exploration. After a night in Picton we will reset for another fully catered, 4 Day, one way Sea Kayaking journey in the outer Marlbourogh Sounds. Taking in the areas around Ratimera, Blumine and Cannibal Cove we will use the weather forecast to our best advantage with the added flexibility of our Water Taxi transfer. The Marlborough Sounds encompass twenty percent of New Zealand’s total coastline. This intricate maze of waterways is made up of three Sounds, namely the Queen Charlotte Sound, the Kenepuru Sound and the Pelorus Sound. Within the area, and famous for the Queen Charlotte Walking Track, is pristine native forest ranging from towering 800 year old rimu trees, to lush punga tree ferns and beautiful native orchids all leading down to picturesque shorelines. 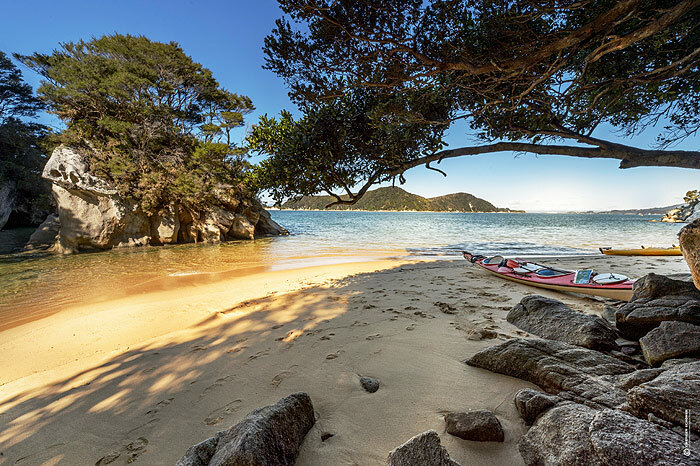 We will allow plenty of time for enjoying the area with its collection of beautiful bays, coves and inlets which are perfect for exploring with our Sea Kayaks. 3rd March: Fly Sydney to Nelson and check in at our Nelson Central Hotel. Dinner to kick off our New Zealand Adventure. 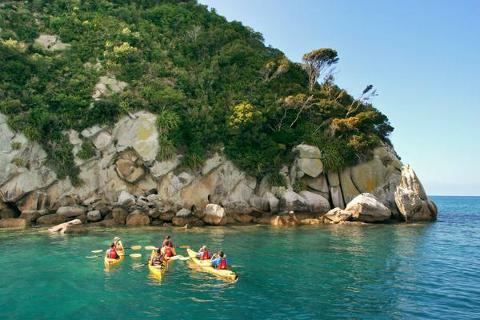 Next morning we will be shuttled by private van to the launch location, pack up the kayaks and camping gear and head off on our THREE day fully catered exploration of the stunning Abel Tasman national Park by Sea Kayak. 6th March: We arrive back in the late afternoon to Nelson after an incredible three days paddling to refresh at our Nelson Hotel once again and re-pack for our transfer to Picton the following day. 7th March: We are off on our Wineries Tour with Vineyard Lunch as we take in the landscape from Nelson to Picton enjoying a relaxing day on our Private Tour of the region before a comfy night at our Hotel in Picton and dinner on the town. 8th March: Collected by shuttle to our launch location and get ready to head off on our FOUR Day fully catered paddling adventure of the Marlbourogh Sounds. 11th March: After our final days paddle we will head back to Picton with another night at the Hotel and a celebratory dinner to finish the trip before flying out the next day (12th March) for other personal travel or heading back home. Flights to Nelson and from Blenhiem (Picton). (We will co-ordinate with you on the best way to get there. Please note you will need to fly into Nelson and back from Picton/Blenheim NZ). Allow spending money for 4 Evening Meals and 4 breakfasts whilst staying in Nelson and Picton. The tour itinerary above may vary depending on weather conditions during the week. This is a true Adventurous Journey and will be best enjoyed with a moderate level of fitness and some paddling experience. We recommend you attend one of our Paddling Courses or Tours in preparation for this spectacular trip of lifetime. Please don't hesitate to chat with us on 02 4441 7027 if you have any questions about the Expedition.